The Dutch coaster WOLANDA in Tilbury with the LAGOS LACAR on the berth opposite. 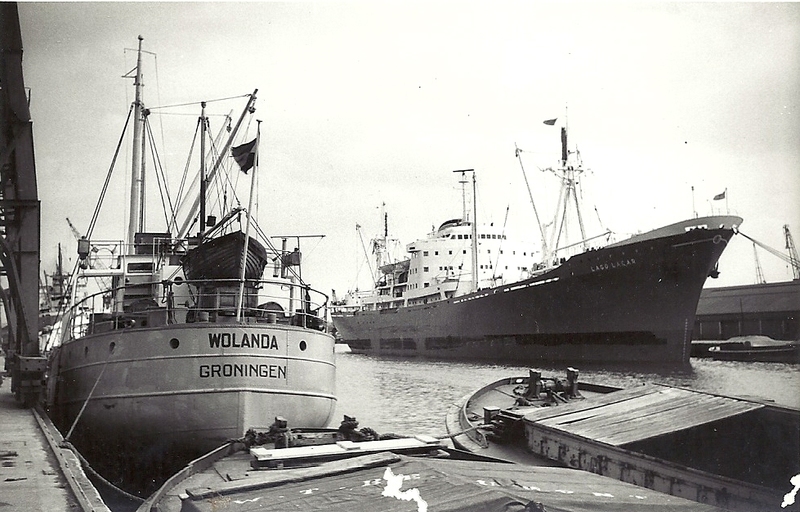 I sailed on Wolanda in her last year 1971 / 72 under Dutch flag. Also in that time we visited Tilbury Dock freqently.